Sorry for the corny pun but I just couldn’t resist. 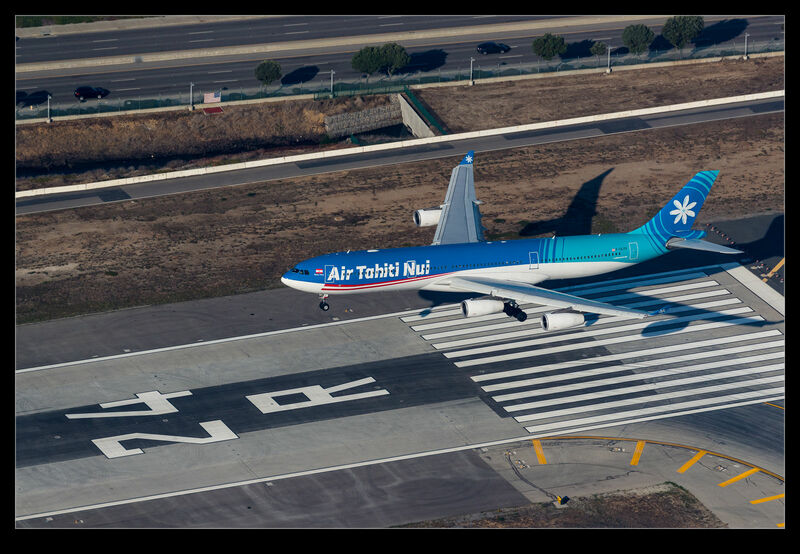 One of my favorite airliners to shoot has been the Air Tahiti Nui A340-300. 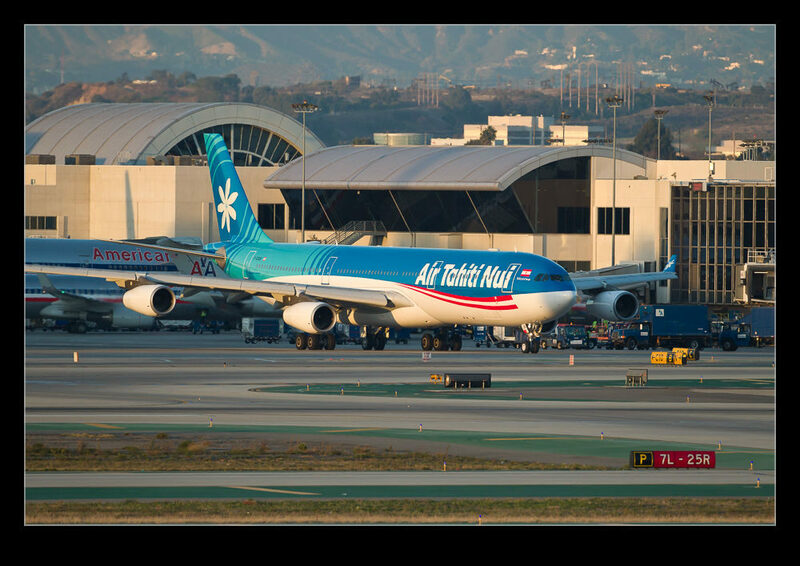 I have seen them at LAX on a number of visits. Shooting them taking off on the south complex has been possible on a few occasions and I was super lucky to get one of them landing on the north complex when I was overhead in the helicopter. 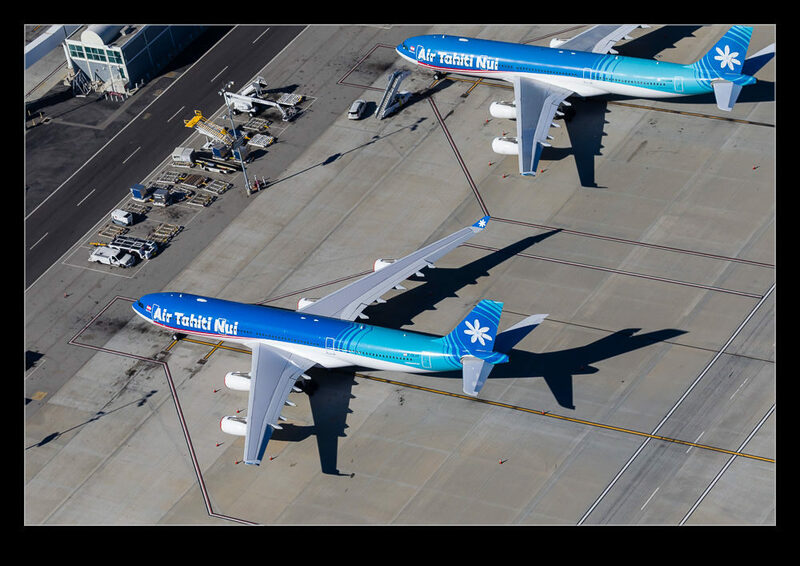 The A340s are getting a bit old at this point, though, so their replacement has been ordered and it is going to be the Boeing 787-9. One of the jets was in flight test at Everett so, with nice weather on a weekend and flying underway, I couldn’t resist a trip up to get the return. 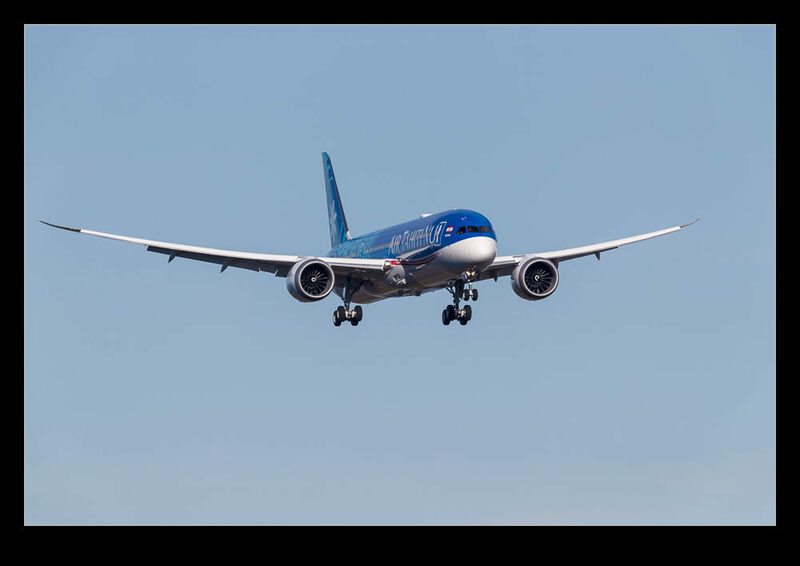 I was too late for a takeoff shot. The conditions were great. A cold snap meant that the air was clear and the sun, while it disappeared for a while shortly after I arrived, was back in plenty of time for the return. Consequently, as the plane came across the Cascades, I could see it easily prior to it turning north to come in on the approach. 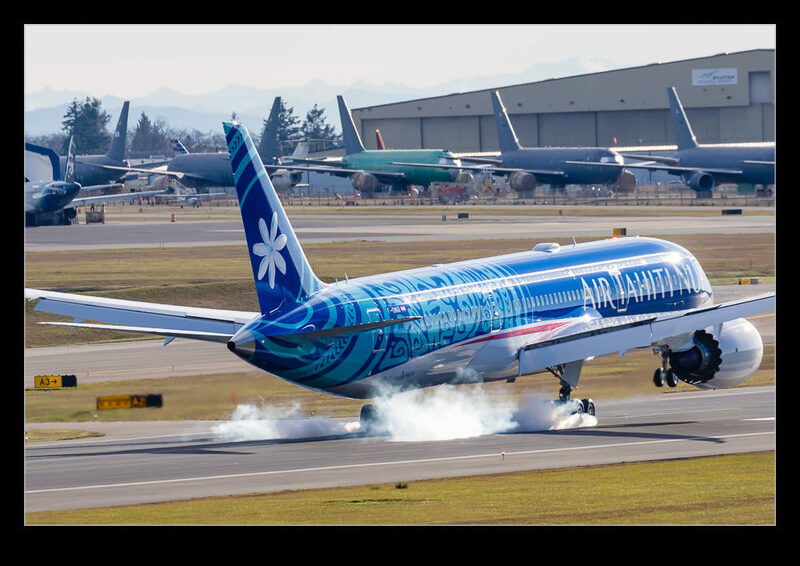 Mt Baker was clear in the background as they made the turn to final approach. The dark colors of the livery make it necessary to use a bit of shadow slider when processing the shots. It was just after midday so the light was a bit on the nose of the jet but you could still get something good for the fuselage sides. The touchdown was a bit firm providing a smoky cloud of tire rubber. I wonder how much tread the airline expects to have at delivery? Often the jets will come back for a rejected takeoff run but this time they went straight back to the ramp. 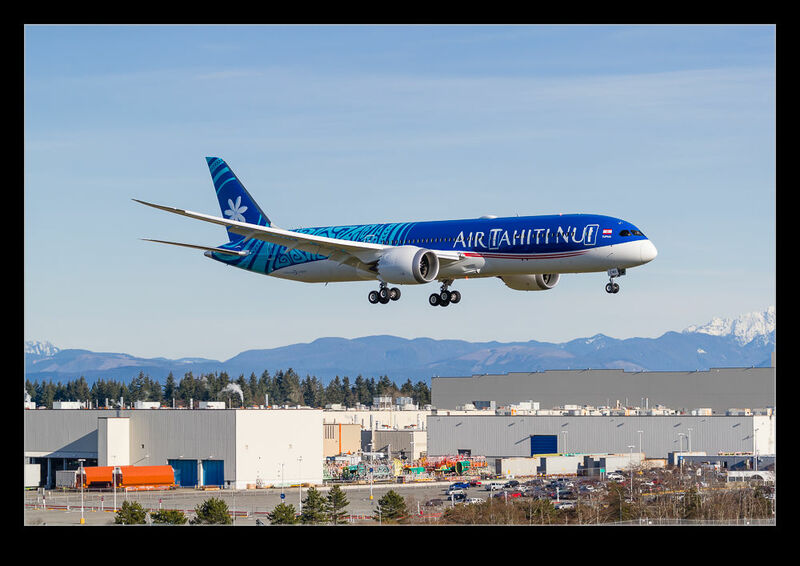 This entry was posted in aircraft, civil, Pacific Northwest, photo and tagged 787-9, a340-300, air Tahiti nui, Airbus, aircraft, airliner, airplane, Boeing, civil, Everett, jet, kpae, Paine Field, photo, replacement, washington. Bookmark the permalink.